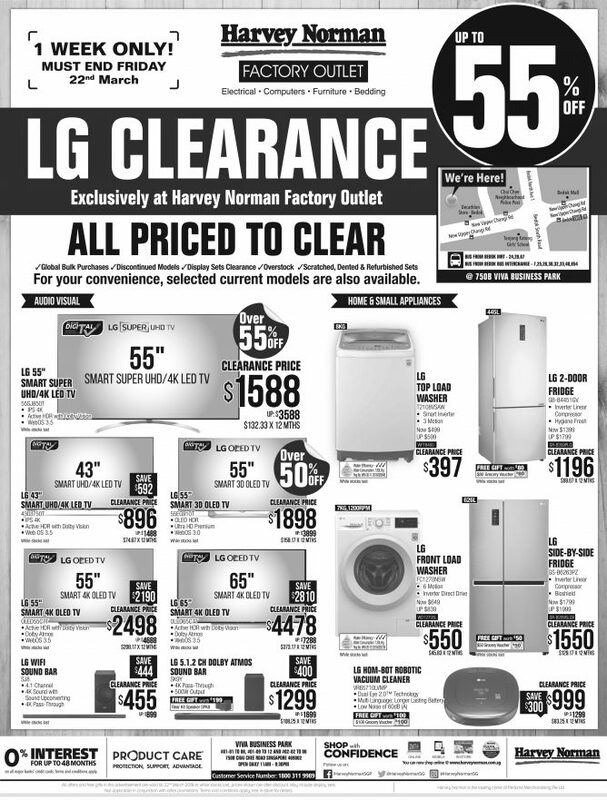 Home > Home > home appliance > Harvey Norman Factory Outlet: LG Clearance with Up to 55% OFF TVs, Fridges, Washers & More! 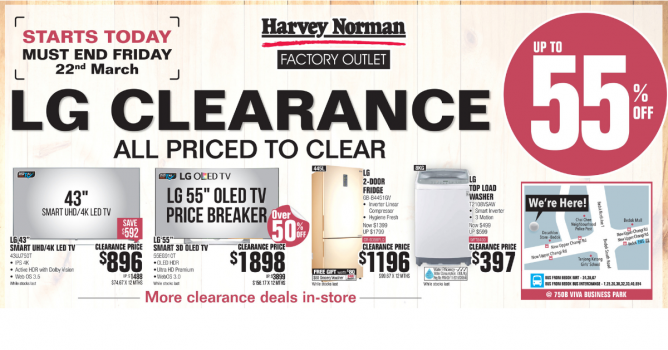 Till 22 Mar 2019 Harvey Norman Factory Outlet: LG Clearance with Up to 55% OFF TVs, Fridges, Washers & More! Enjoy up to 55% off on LG products! LG TVs, Fridges, Washers and more are PRICED TO CLEAR at Harvey Norman Factory Outlet! Sale ends Friday, 22 Mar 2019. All offers and free gifts are valid till 22 March 2019 or while stocks last, prices shown are after discount. May include display sets. Not applicable in conjunction with other promotions. Terms and conditions apply, see in-store for details. Next: [Booking.com] Get GuestHouse ( Sangsri soi 4) – are you still interested in staying?